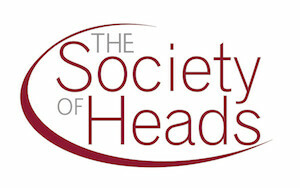 The Society of Heads represents the interests of independent, secondary schools. The Society celebrated its 50th Anniversary in 2011. The Society has as its members over 118 Heads of well-established secondary schools, many with a boarding element, meeting a wide range of educational needs. All member schools provide education up to 18, with sixth forms offering both A and AS levels and/or the International Baccalaureate. Also some offer vocational courses. Many have junior schools attached to their foundation. A number cater for pupils with special educational needs, whilst others offer places to gifted dancers and musicians. All the schools provide education appropriate to their pupils’ individual requirements together with the best in pastoral care. The average size of the schools is about 350, and all aim to provide small classes ensuring favourable pupil:teacher ratios. The majority are coeducational and offer facilities for both boarding and day pupils. Many of the schools are non-denominational, whilst others have specific religious foundations. The Society believes that independent schools are an important part of Britain’s national education system. Given their independence, the schools can either introduce new developments ahead of the maintained sector or offer certain courses specifically appropriate to the pupils in their schools. They are able to respond quickly to the needs of parents and pupils alike. Schools are admitted to membership of the Society only after a strict inspection procedure carried out by the Independent Schools Inspectorate. Regular inspection visits thereafter ensure that standards are maintained. The Society is a constituent member of the Independent Schools Council and every full member in the Society has been accredited to it. All the Society’s Heads belong to the Association of School and College Leaders (ASCL) (or another recognised union for school leaders) and their schools are members of AGBIS. The Society’s policy is: to maintain high standards of education, acting as a guarantee of quality to parents who choose a Society school for their children; to ensure the genuine independence of member schools; to provide an opportunity for Heads to share ideas and common concerns for the benefit of the children in their care; to provide training opportunities for Heads and staff in order to keep them abreast of new educational initiatives; to promote links with higher and further education and the professions, so that pupils leaving the Society’s schools are given the best advice and opportunities for their future careers; and to help Heads strengthen relations with their local communities.